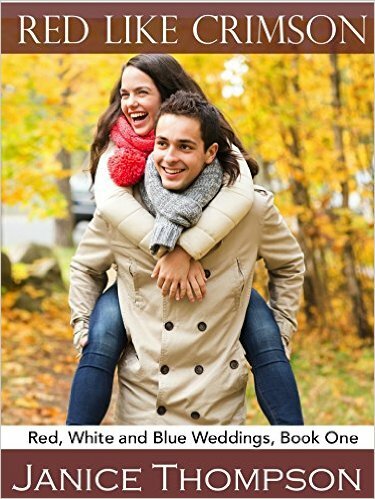 I’ve always loved Janice Thompson’s writing so when I had a chance to snag a free kindle version of Red Like Crimson, I did so and read it at the first opportunity. This book read so easily it felt like a novella but it is a full length novel. Eight years ago, Adrianne abandoned the man she loved and her education when she discovered she was pregnant. She knew that would ruin Chris’ opportunity to fulfill his dream to go to the mission field. She never told him why she left. Now years later they come face to face when he comes to Pennsylvania for a friend’s wedding. Adrianne knows it’s time to tell him the truth. He has a daughter. Chris never understood why she left. He finished school and now works as a missionary in Nicaragua and loves it. When he meets Adrianne again old flames kindle to life and he dreams of the possibilities. Confronted by the reality that he’s a father complicates things. In previous books by Janice Thompson faith has been seamlessly woven in and the characters are whimsical at times and humor abounds. Red Like Crimson is a departure of sorts from that kind of writing style but is no less engaging for digging deeper into spiritual truths and weaving together grace and forgiveness in the wake of sin as well as the power God has to work things to good. I had a hard time putting this one down. 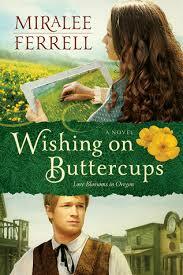 It may have lacked the humor of her other books which I had anticipated, but it definitely did not lack the charm. The disappointment was short-lived as I was swept into the story she wove so skillfully. 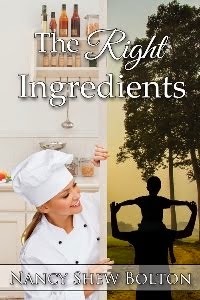 The Right Ingredients is a multi-flavored romance by Nancy Shew Bolton. Well, come on, the main character is a baker so this story is about faith, love and, my favorite–frosting! This is such a sweet story and I loved the transformation that the main character Ann went through as she struggled throug her work-a-holic baker lifestyle and grappled with her need for God. As she emerges from her shell to embrace love and her new faith in God, challenges conspire to destroy both of these new and wonderful things in her life. Through it all Ann grows and matures. Of course this is a romance too but Ann doesn’t let her love for a man make her compromise what she has come to believe in. A happily-ever-after wedding too! And cake. Lots of cake!